A gathering for newcomers and interested visitors! If you are new to our congregation or would just like to learn more about us, we invite you to attend “Getting To Know UU” on Tuesday, September 18 from 6-8pm. 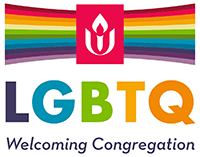 Meet informally with the Membership Committee for a light dinner and a program exploring the many facets of Unitarian Universalism. Learn about the origins and history of UU, our seven principles, spiritual sources, our own local history, and the various program offerings. Child care will be provided if needed. Please let us know if you need this service. Please let any Membership Committee member (membership@uubgky.org) if you’d like to attend. Hope to see you at this fun & informative event.